Group Picture Caption: Rt. Hon. 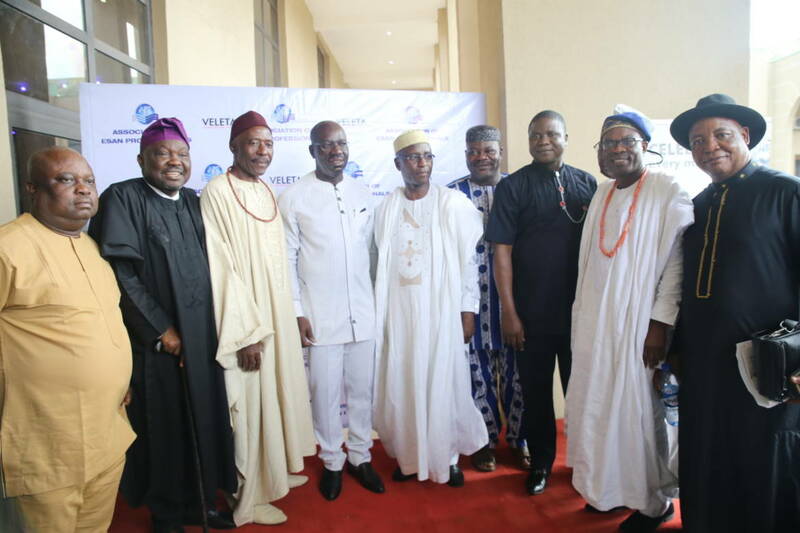 Justin Okonoboh, former Speaker, Edo State House of Assembly (2nd from left); Governor of Edo State, Mr Godwin Obaseki (4th from left); Barr. Mathew Egbadon, President, Association of Esan Professionals (5th from left); Hon. Monday Osaigbovo, Commissioner for Agriculture; Hon. Osahon Amiolemen, Commissioner for Infrastructure (7th from left) at the 13th Esan Economic Empowerment Workshop, on Saturday, October 14, 2017.